As the weather warms up, you will likely find a renewed energy to get back to your exercise regimen. 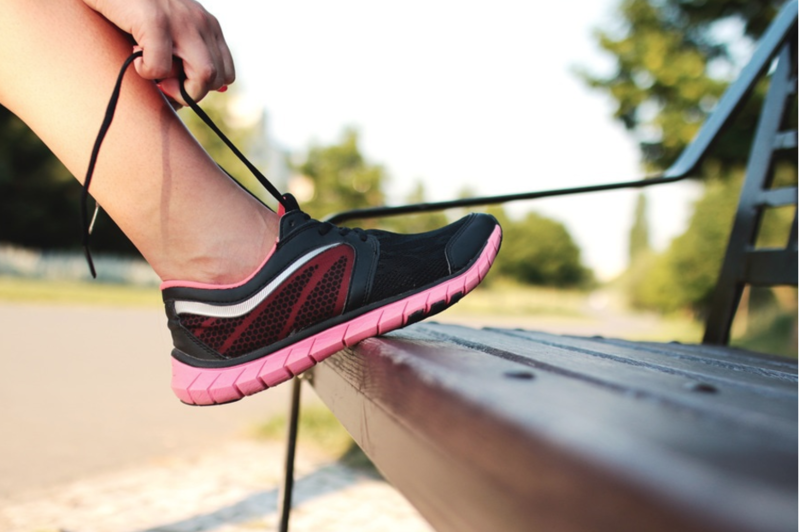 Whether your goal is to stay active, to train for a marathon, or to participate in a competitive sport, Spring is a perfect time to get back in the swing of things. As your training picks back up, make sure you are training the right way! This will help prevent injuries that can hold you out of your game. Often times it is easy to start a new workout program with the mindset of, “go hard or go home,” but this mentality can be harmful if you don’t train and rest your body properly. There are several common injuries that occur from pushing your body too far and/or too fast. Read more to help avoid these setbacks. There are many things that can cause muscle cramps, but there are also many ways to prevent muscle cramps from putting a stop to your workout. Muscles can seize up due to overexertion, dehydration, electrolyte imbalance, insufficient stretching, skipping a pre-workout warm-up, or heat exhaustion. Suggested Exercise: To help prevent a muscle cramp from occurring, a proper warm up is needed before activity. It is important between workouts to get plenty of rest while maintaining proper hydration and eating a balanced diet. Also, be aware of weather conditions which would require extra fluids to keep you properly hydrated. Achilles Tendinitis is common in athletes and is characterized by pain, stiffness and swelling of the back of the heel. Left untreated, this can cause an eventual rupture of the Achilles’ tendon. This condition often makes it difficult to run, let alone wear a shoe. Suggested Exercise: Stretch properly and warm up with a jog before gradually settling into a training session or workout. You can stretch your calves by standing on a step with both heels hanging over the edge. Rise up on your toes. Bring your left foot behind the right. Lower your right foot slowly toward the floor. Rise up on both your feet and return to the starting position. Do ten repetitions and switch feet. Patellar Tendonitis is a common sports injury that occurs from excessive running and muscle imbalances. Characterized by pain and swelling below the kneecap, patellar tendonitis can be prevented by regularly strengthening and stretching your leg muscles. Suggested Exercise: Lying on your side while keeping your legs stacked on top of each other. Together, bend both your hips and knees to 45 degree angles. Keeping your hips stacked and your feet together, open your legs like a clam. Open and close the clam for ten repetitions and switch sides. If you find yourself in need of treatment for a muscle, bone, or joint injury this spring, contact the Klasinski Clinic. You can read about more sport specific training exercises for spring sports here. In addition to training, stretching, and proper warm-up, athletes should also be aware of the dangers of the elements. You should wear the appropriate clothing and equipment to protect your body from weather conditions. Don’t forget about proper eyewear and sunscreen! Preparing your muscles for exercise can be obvious, but skin and eye protection often go overlooked. The key is to maintain a balance in your diet and fitness routine, as you progress through the season.